Our Meet The Jeweller feature is a great way to discover talented jewellers, be inspired and learn about the secrets to running a successful handmade jewellery business. We are always amazed at the unique designs and stories behind our customers, while also discovering how their jewellery making journey started. We find out more about marketing a small jewellery business, the best way to learn as you go and craft stall preparations! You can also check out Rhi's top Kernowcraft recommendations at the bottom of the page. 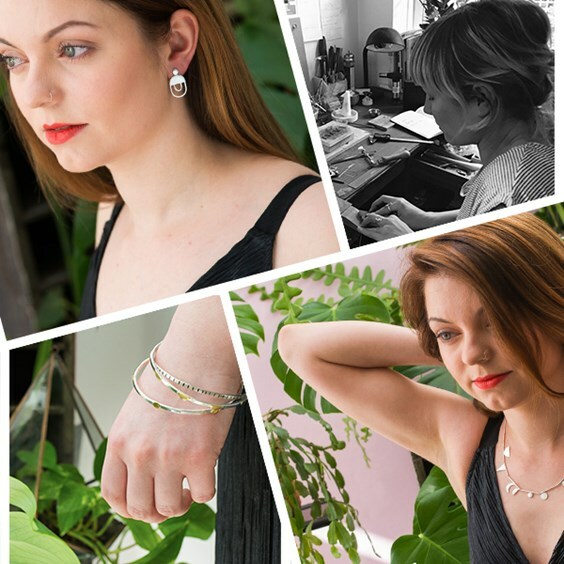 Want to be featured in the next Meet The Jeweller? Find out how here. It's cliché to say but you really can find inspiration anywhere, from buildings, to pottery, to paintings, to patterns on drains on the floor. My name's Rhi and I'm a 30 something mother of a very energetic toddler, happily living in my adopted city of Bristol. Lima Lima started earlier this year, when I realised the opportunity to turn something which began as an avenue to express my creativity whilst I was stuck in a corporate job, into a viable business. 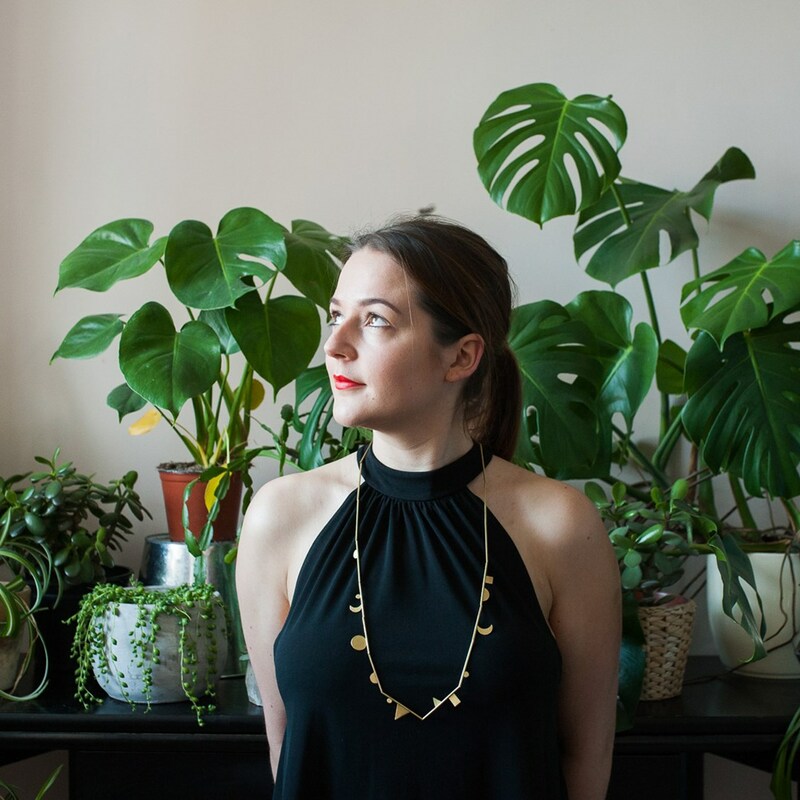 Lima Lima is a minimalist, sustainable jewellery and accessory line that represents a rejection of the throwaway - fast fashion industry. 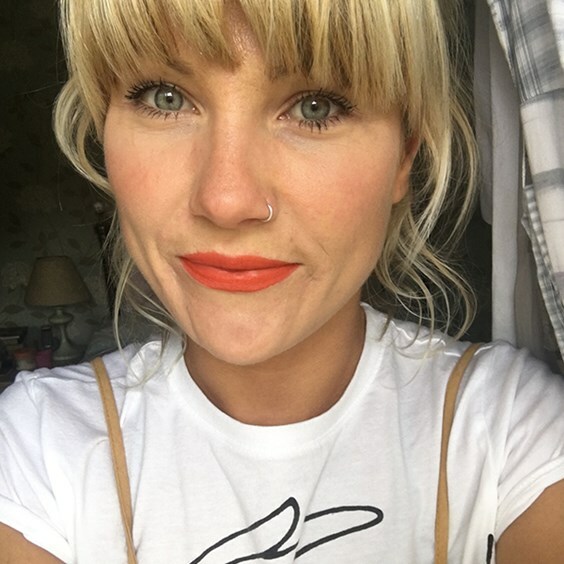 I'm a strong believer in the slow fashion movement and wanted to apply the same ethics to my business; all of the silver I use is recycled sterling silver from sterling jewellery and my brass is sourced as locally possible, all of my packaging is recycled and I use non toxic chemicals where ever possible within my silversmithing processes. 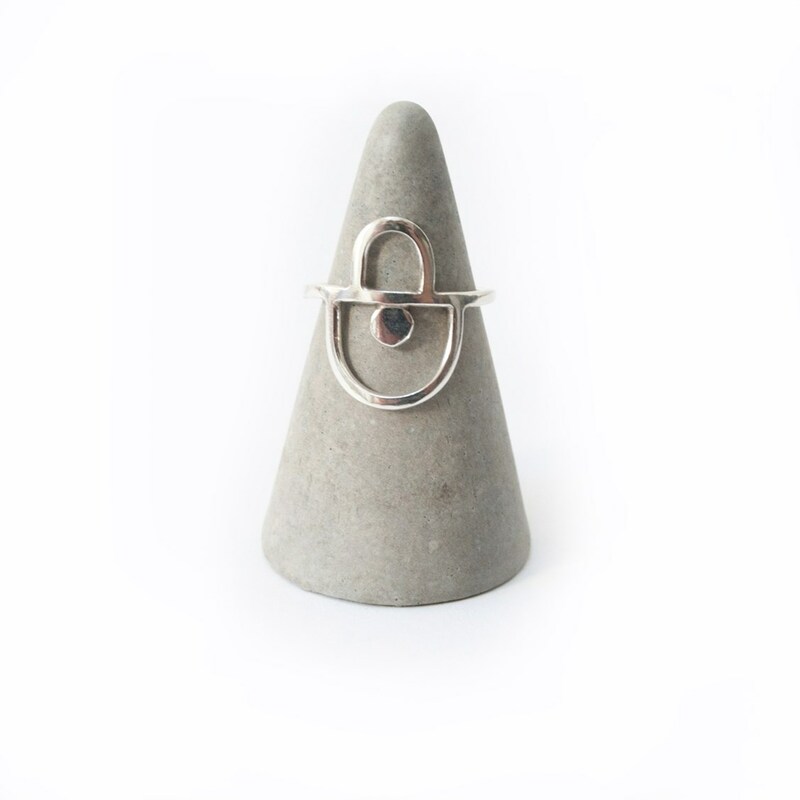 As well as striving to create beautifully striking yet minimal designs, I also aim to produce pieces with longevity in mind, where we aim to buy less but buy better. When did your jewellery making journey begin and where did you find inspiration? My love for jewellery actually began more than 10 years ago when I studied surface pattern design at Swansea Metropolitan University. My final project was a collection of almost architectural 3D laser cut acrylic jewellery pieces. Since leaving uni I’ve experiment a lot with making acrylic and wood laser cut jewellery but it was only after enrolling onto a beginners silversmithing course after my daughter was born that I fully realised my passion for jewellery. From the very first class I was hooked. 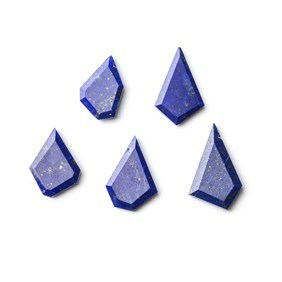 I completed three beginners' courses to get me up to speed with the basics of cutting, soldering, finishing, stone setting etc, then I watched a tonne of YouTube videos (for those of you who are starting out, Soham Harris is a genius!) and I also read a lot of books and taught myself the rest. The inspiration for my work comes from infinite sources. It's cliché to say but you really can find inspiration anywhere, from buildings, to pottery, to paintings, to patterns on drains on the floor. But for my first collection ‘Memphis’ the main sources of inspiration, which is evident from the name, comes from the iconic furniture and interiors of the Memphis Group back in the 80s, and more recently the Memphis revival with its wavy lines and bold shapes. Art deco is always a running source of inspiration for me, but specifically for this collection the architectural forms and curves of the buildings of Ocean Drive Beach in Miami. I wanted to create my own minimalist, muted version of these combined styles. Watch Soham Harris below making a heart spinner ring! My main platform is Instagram as it's so visual and my brand is all about visual impact. I have had so many exciting opportunities arise from my presence on Instagram. It really should not be under estimated and for me, it's my main tool for getting my work out there to a wider audience. Has living in Bristol influenced your designs at all? Living in Bristol has certainty influenced my designs and how I want my business to be perceived. There is so much incredible talent here, which certainly keeps you on your toes and pushes you to create work to the best of your ability. I find a lot of inspiration for my Instagram feed from strolling around the streets of Bristol, the colours, the graffiti, the buildings, the people. This city is a melting pot of creativity. At the moment I am really loving anything by Emancipator. It’s such good background music to get you focussed. 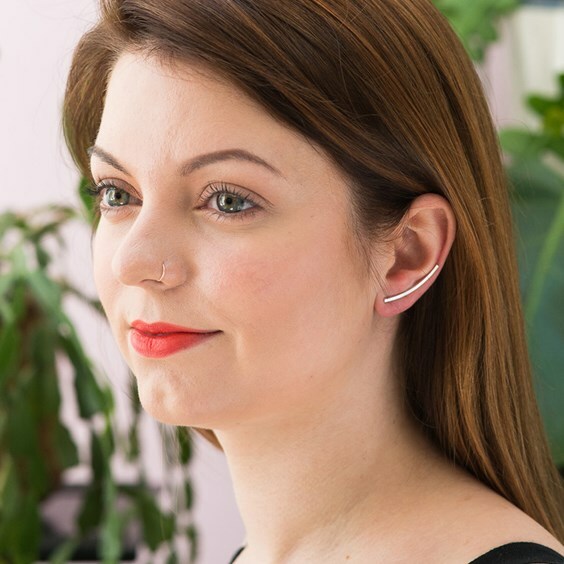 Personally, what have you found the best way to get your jewellery in front of people? Anyone who isn't taking full advantage of social media is really missing a trick. My main platform is Instagram as it's so visual and my brand is all about visual impact. I have had so many exciting opportunities arise from my presence on Instagram. It really should not be under estimated and for me, it's my main tool for getting my work out there to a wider audience. If you make jewellery or anything wearable, wear your stuff! My friend came with me to help out (she’s a good egg) and wore my ear climbers. Those were the first item to sell out. Thank you! 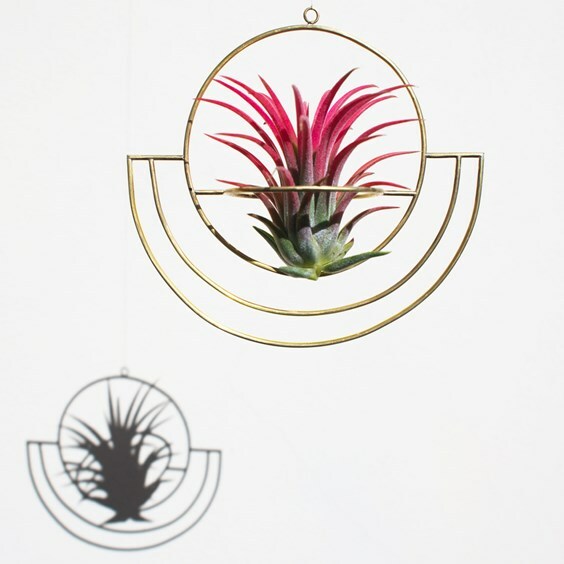 My airplant hangers are all made from locally sourced brass and are cut, forged and finished by hand. Airplants have really soared in popularity recently but I was finding the options available for displaying them all a bit dated and uninspiring. So I decided to create something that doubles as an airplant hanger whilst also being a boho minimal 3D hanging for any room. We love your craft stall look! What’s your top tips for preparing for an event? Thanks! Frome Market was actually my first market, it was a pretty good start, but I still have so much to learn. A few things that I realised and would pass on would be to ensure you have plenty of stock! This seems so obvious, but I really thought I had enough and sold out of all my earrings by around lunchtime! I mean it was really great, but I would have had an extra awesome day if I had taken a tonne of back up stock! Try and carry an essentials box with you for the inevitable mishap, this includes sellotape, staple gun, string etc. You never know when you’ll need it! Be friendly and chat to everyone. It's invaluable information having feedback from the public on what they like, would like to see more of, would like to see alternatives in different materials, lengths etc. It's always lovely to get to know those selling around you too, the makers community is so encouraging and friendly, you never know what opportunities will arise just from simply having a chat. Think about what you wear. You are a visual representation of your brand, and as superficial as it may sound, us humans are intrinsically visual creatures and first impressions really do count! Enjoy it! Markets are such a great way to get your brand out there, for networking with other makers, getting feedback and of course making money. We adore your Instagram – what is your secret to a dreamy feed? Instagram is essentially a visual platform, so it's very important that your images are really clear, well thought out and beautiful. After I designed my collection, I decided on a theme for my photoshoot. I chose a colour scheme and decided to use a lot of houseplants. In order to convey a brand identity which people recognise as you. I guess it's all about consistency, so my whole feed follows a chosen colour pallette. Many of my images feature house plants and I like to have a constant turnaround of styled product shots, behind the scenes images, images of markets or boutiques that I sell through etc to keep things interesting. My workspace is organised chaos! But I’m very fortunate to have a small room just off of my bedroom which is my workspace. Where would we find you after a busy day making jewellery? Usually you will find me in the park with my two year old kicking a ball about or cooking something extra tasty for tea. My favourite has to be Black Onyx. I love how strikingly simple it is. It always makes an impact. What advice would you give someone wanting to start a jewellery business? My advice would be to just start somewhere! Don’t look too far into the future or worry about a website/branding/ logo etc. Just start making and start posting up on Instagram. That’s how I started. Before you know it you will start to gather a small following. Initially, I was a little overwhelmed with all the set up work – Building a sleek website, having a great logo, packaging etc…all you need to focus on first is your style and your designs. Really consider what makes your jewellery you. But do document your progress from the start. People love to see where you’ve come from, and your creative journey right from the very beginning. Also, as cheesy as this sounds, you have to believe in yourself. If you're producing work that you’re really proud of and that excites you, you can't really go wrong. 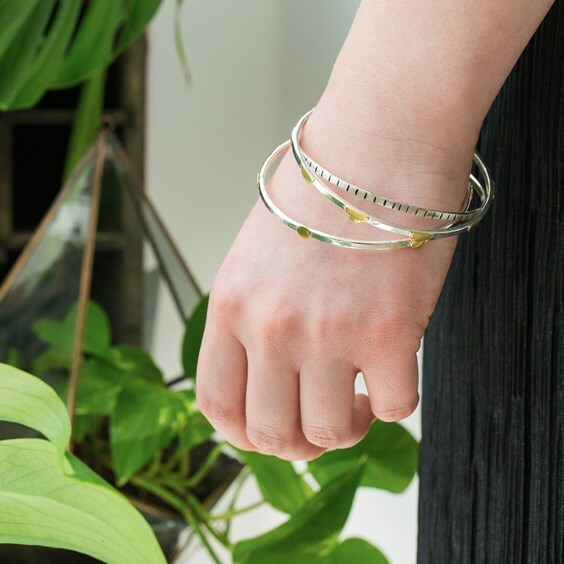 Where can you find Lima Lima Jewellery? As cheesy as this sounds, you have to believe in yourself. If you're producing work that you’re really proud of and that excites you, you can't really go wrong. 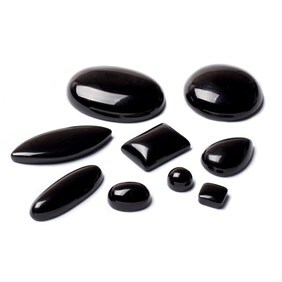 My favourite Kernowcraft products are the Black Onyx Stones and also the Lapis Lazuli faceted head drilled slice beads, I've really struggled to find good quality and such a large range of stones online, and Kernowcraft's prices are super competitive too! 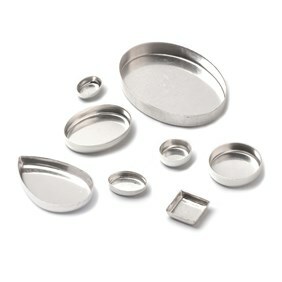 I also find the bezel cups brilliant too. Sometimes you need to buy products that will help save time, and these cups are perfect for that! The other essential product which I buy so much of (otherwise I’d have no fingers!) 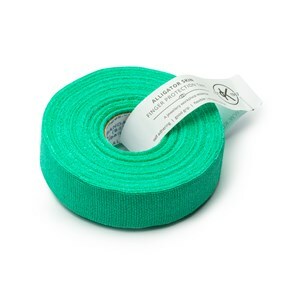 is alligator skin finger protection tape. I use A LOT of this stuff!